Oticon breaks the rules. Again. 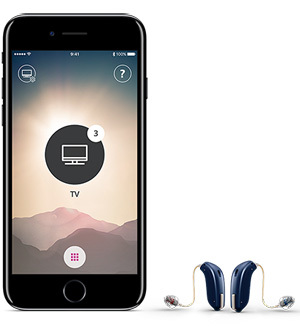 Oticon Opn S takes open sound to the next level, providing more flexibility and choices for you. It delivers our clearest and purest possible signal yet to provide speech understanding on par with normal hearing in noisy environments – empowering you to participate in the same social situations as everyone around you. Oticon Opn S is built on everything you know and love about Oticon Opn to deliver enhanced functionality and improved sound quality. Oticon Opn S is available in a variety of styles! Traditional hearing aids isolate one speaker and suppress all others. Oticon Opn™ is so fast it can give you access to multiple speakers around you that you want to listen to and reduce noise at the same time. 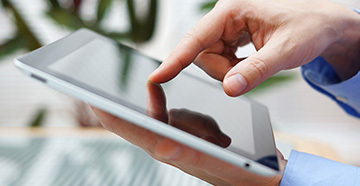 Enjoy the sound quality of Opn, and the extra benefits of rechargeability. Available for all Opn miniRITE devices.Turn any Opn miniRITE hearing device into a rechargeable solution with the new ZPower battery door. Oticon Siya hearing aids help you hear better by amplifying the rich details of sound, so you can focus in on every precious moment. Siya hearing aids feature BrainHearing™ technology which helps your brain understand sounds more easily. Dynamo is the most advanced, personalized Super Power product Oticon has ever developed. Premium speech processing technologies are designed to meet the challenges of people with severe-to-profound hearing loss. Dynamo has a smaller case size and is available in seven colors. It is powered by a size 13 battery with longer battery life. Alta2's next-generation BrainHearing™ technology gives your brain what it needs to make sense of sound by providing our most natural, effortless listening experience ever. If you suffer from tinnitus along with hearing loss, Alta2 Pro Ti includes Oticon's exclusive new Tinnitus SoundSupport™ feature that provides tinnitus relief sounds that can be used as part of a tinnitus treatment plan. Nera2 is Oticon's most advanced mid-level hearing device ever. Nera2's next-generation BrainHearing™ technology gives your brain more of what it needs for a more natural listening experience. If you suffer from tinnitus along with hearing loss, Nera2 Pro Ti includes Oticon's exclusive new Tinnitus SoundSupport™ feature that provides tinnitus relief sounds that can be used as part of a tinnitus treatment plan. 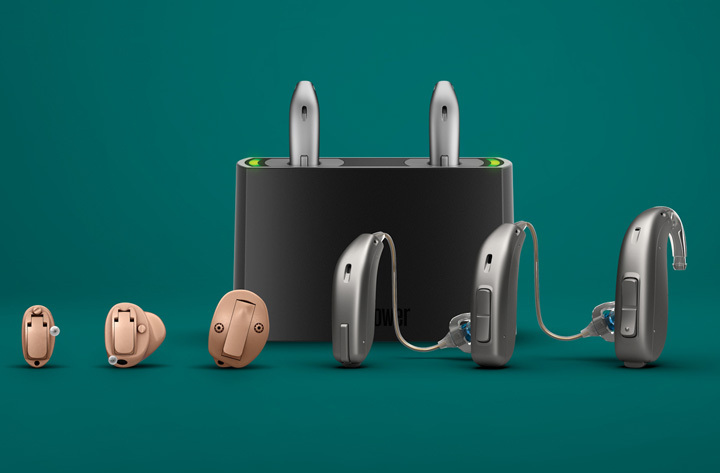 Ria2 provides all the essentials you need for better hearing. Ria2's next-generation BrainHearing™ technology gives your brain what it needs to make better sense of sound. If you suffer from tinnitus along with hearing loss, Ria2 Pro Ti includes Oticon's exclusive new Tinnitus SoundSupport™ feature that provides tinnitus relief sounds that can be used as part of a tinnitus treatment plan. Now your phone calls, favorite music, mobile and computer video chats, podcasts, TV, live performances and presentations can be streamed into your hearing devices via the Streamer Pro. And it can be controlled with your iPhone with our free Connectline App for iPhone. 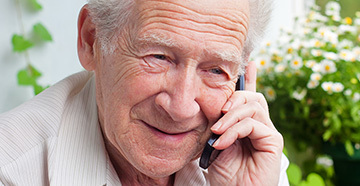 ConnectLine is designed to connect millions of hearing device wearers with the world of entertainment, information and ideas. Best of all, ConnectLine works with every style of Oticon wireless hearing device at every price point. This includes all of our custom In-the-Ear styles as well as our Receiver-In-The-Ear models. 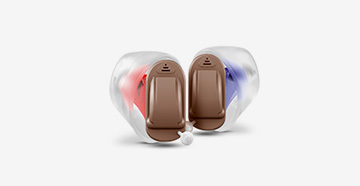 So whether you’re already an Oticon hearing device wearer, or purchasing for the first time, ConnectLine can connect you with ease. Apple, the Apple logo, and iPhone are trademarks of Apple Inc., registered in the U.S. and other countries.